Good-Sunday to All!!! How r U all doing today??? Spending precious times with family/friends? Have a great day ahead! Alright, let's start with few awards from a same person! It's none other than my new-found friend in cyberworld...Ms. Kiran (US)...appreciate ur thoughts ya! There a plenty of awards given, but I'll take those I don't have till now...okey??? Carrying on with next Award which comes with a tag! I have to write 7 things about me, think I've said enough...hehe...I'm taking the awards alone. 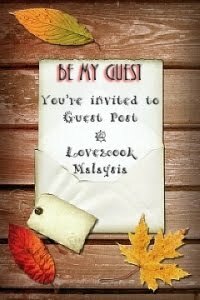 Interesting Blog Award from Kak Intan...a Mom who loves cooking, stitching and decoupage! And I would like to pass these awards ( U may choose whichever/all) to.. Phewwww!!! That's all I could list now...it's random as per updates this morning..
Thousands apologies if I've missed out some names here. My connection is getting bad...and I gotto stop. Don't hesitate to accept the awards from me...after all we are friends na! Lots and lots of Thank You to U ladies! May our Friendship in this cyberworld remains! Pictures of your New House look very beautiful.Love the black and white kitchen theme.Marine tank looks colorful. hi <3...congrats on the well deserved awards dear...and thanks for sharing them with me. I am leaving on a vacation tomorrow.I will come back and catch up with all your yummy recipes.My daughter was admiring your kids pictures and your kitchen. Congrats on your awards and thanks for passing it to me.Have a good day! Congrats on your awards Ms love and thanks so much for sharing it with all of us too...have a lovely day and enjoy..
Congrads on ur awards, very happy for u...thanks for sharing the wards with us. very kind of u to remember us all. May Allah shower his blessings on u and ur family. Congrats dear on ur awards, u truly deserve it...Thanks for sharing dear! Congrats on all your well deserved awards..Thanks for sharing them all with us..will post soon..
Woowww, so long the listing, hahaa..as long as the awards hanged up here..Thanks so very much for the awards, I'll take which I want k..hahaa, kena cari lori panjang dulu laa...muaahhh! Congrats, I want MJ, I want MJ! Congrats on all ur awards dear sweety,,,n thanks for reminding me n sharing with me..
Congrats on all your awards wishing you many more to come.Thankyou for dropping by my blog your visit nad comments are very much appreciated. wow dear, that's loads and loads of awards with lots and lots of receivers, hahaha!!! thank you so much for sharing these with me la!!! you're so sweet as always!!! and congratulations to you for all those awards!!!! enjoy and have a great day!!! congrats on ur awards, dear! !..and thank u so so much for remembering me! !...ll post ur award soon...i must say i really loved ur new home..i just showed it to my hubby, he showed it to everyone in the house..everyone liked it so much! !...can i ask u one thing?....r u from chennai or mumbai? Congrats on your awards and thanks very much for passing them to me. Appreciate very much! Vinolia ~~> Hi dear,if I can..I would have passed the awards to whole bloggers..hehehe! Priya ~~> Hi dear, Owh that's so sweet of U n ur hubby! hehe!